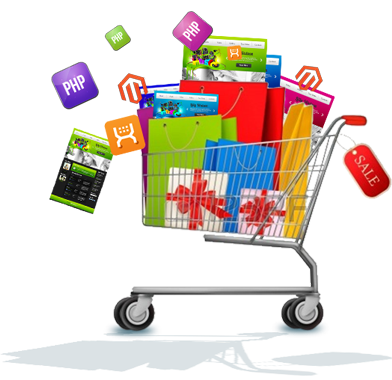 Get Custom eCommerce Website that has unlimited possibilities and too mesmerize visitors. At Victory Visions a team of over well trained and experienced web developers and software professionals are working since last ten years to serve an illustrious list of above 100 clients across different verticals for our clients from UK, India and Europe. We offer Ecommerce web design and development, Custom shopping cart development, Database design and integrated web development, Secured Payment gateway integration, Support for more languages as per your requirements and more. Whether you're starting a new E-Commerce website, or looking for an E-commerce re-designs, Victory Visions goal is to provide the best professional e-Commerce web design solutions at an affordable price. Successful E-Commerce is about giving your website visitors a good online shopping experience by way of easy navigation, fast loading web pages and secure easy-to-use online payment gateways. Our Ecommerce website development team is extra special in setting up an Ecommerce website for customers, with an admin module that helps you to easily manages products, categories, users and transaction reports etc. We effectively promote your business, bringing success and increase online sales. We make sure that your business is able to gather more traffic and retain them.